Florida-based Novation Settlement Solutions is pledging $250,000 in structured settlement and annuity advances to qualifying applicants affected by either Hurricane Harvey or those in its home state of Florida needing assistance in preparation of Hurricane Irma. Anyone who may need an advance to assist with hurricane prep, evacuation, and current or potential recovery efforts is encouraged to contact Novation ASAP since the company itself may also be impacted by the storm. Novation is here to help our neighbors in need throughout the state of Florida, as well as those in Texas working to rebuild their lives. With Category 5 Hurricane Irma projected to have potentially catastrophic impacts on the state of Florida in the coming days, West Palm Beach-based Novation Settlement Solutions announced today its pledge of $250,000 in advances to Florida residents preparing for the anticipated storm, as well as Texas victims impacted by Hurricane Harvey. Anyone in these states with a qualifying structured settlement or annuity can immediately receive up to $1500 to assist with their hurricane recovery, preparation and/or evacuation efforts. Novation is urging anyone in need of an advance to contact them as soon as possible, as the Florida-based company may also be impacted by Hurricane Irma. or apply online today at https://novationsettlementsolutions.com/. Our team of professional funding executives are standing by and ready to help. 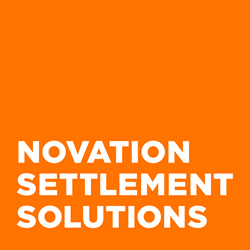 Novation Settlement Solutions is the most respected structured settlement purchaser in the industry. Since 2000, the company has provided its customers with quick decisions and maximum payouts. Novation’s highly trained and educated staff of professionals have purchased over $1.5 billion in structured settlements, annuities, lottery receivables and other similar cash flows.